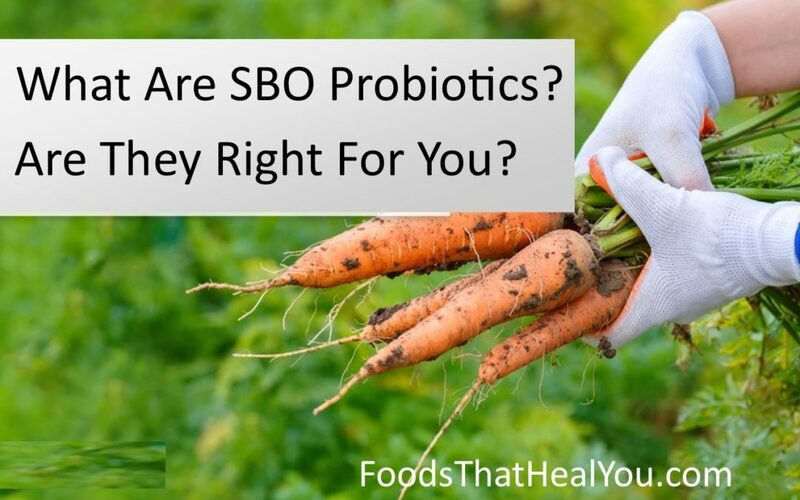 What Are SBO Probiotics? Are They Right For You? Healthy gut bacteria are absolutely essential for healthy digestion and immune system. If you have any digestive distress, autoimmune disorder, or diagnosed health condition, chances are VERY good you are deficient in healthy gut bacteria. You know the kind of probiotics you have to refrigerate? Those are known as multi-strain probiotics. The reason you have to refrigerate them is because the probiotic strains themselves are very sensitive and prone to die-off even before reaching the digestive tract. This is not the case with SBO probiotics. SBO probiotics are “soil based”, naturally occurring in the soil, hidden in for example, the dirt you find on fresh garden product. Unfortunately, for safety purposes, we have to wash that dirt off of our produce. Along with that dirt goes those valuable SBO probiotics. Shelf Stable – they don’t need to be refrigerated. Survivable – they survive in your gut, and even through antibiotic use. You can plant grass see all day long on your front yard. But they will not get through until you first get the leaves out of the way. Same goes with healthy gut bacteria. You MUST clean out the digestive system first, THEN plant the probiotic seeds. You can do with by detoxing your diet. All the best to your health! 7 Reasons to Fiber Up In 2019!! Is Isagenix Good For Weight Loss?